Here’s what I’ve been up to in September. 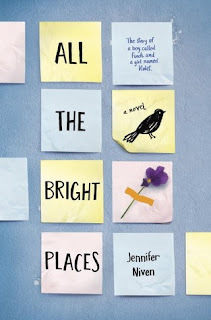 Reading: All The Bright Places by Jennifer Niven. Watching: Book-to-movie adaptations. I’m not a big movie fan, but I have HBO right now, so I should probably use it, right? I’m also watching all the horrible reality shows: Survivor, Hell’s Kitchen, Project Runway, Worst Cooks In America, 90 Day Fiancé . . . 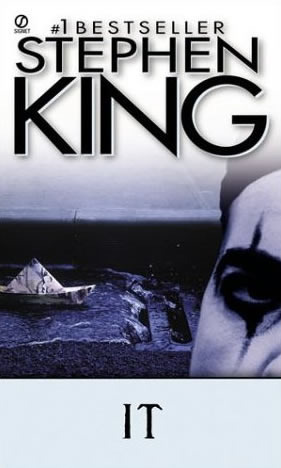 Stalking: Are you guys following Boats Against the Current? If you’re not, you should be. Laura writes interesting discussions and has a very pretty blog. 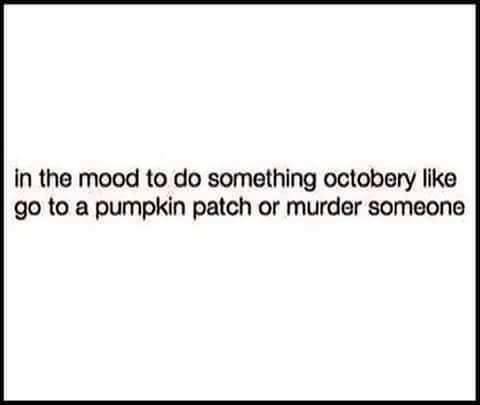 Looking forward to: October. 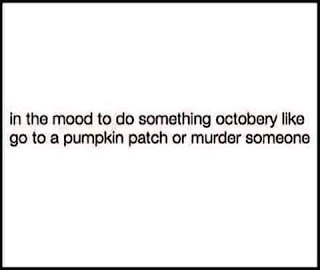 It’s my favorite month. I love Halloween, and cold weather, and crunchy leaves, and bonfires, and ghost stories, and the lull before the Christmas storm. Basically, I’m one of those annoying people on social media who obsesses over all the fall things. 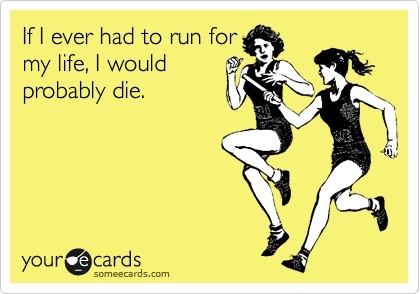 Exercising: Are you sick of hearing about Couch to 5K yet? I’m doing the training slower than I’m supposed to, but it’s actually working! I’ve always been a terrible runner (just ask my high school gym teachers), so I’m impressed that I’m learning how to run a 5K. Enjoying: Hiking in the mountains. It makes me happy to get away from technology for a weekend. Photographing: I can’t go hiking without dragging the camera along. Eating: Caramel apples and Nutella strawberries. If there’s a way to make healthy food unhealthy, I can find it. 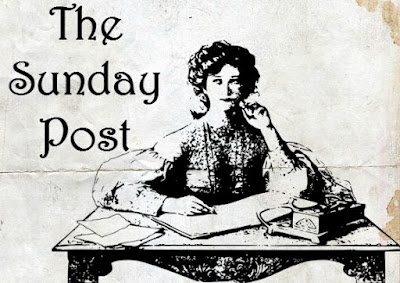 Blogging: I’m going to be traveling at the end of this year, so I’m trying to blog ahead. If you have any recommendations for tags, memes, or discussion topics, I badly need them. 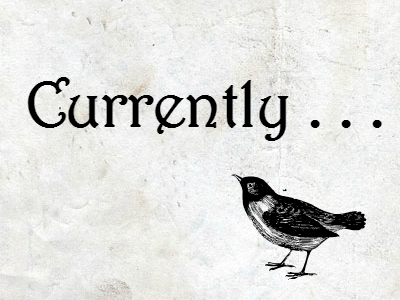 I’m going to be on a blogging hiatus for most of November, but I don’t want the blog to be *crickets, crickets. * I’m blogging as fast as I can to get ahead. What have you been doing in September? Review: This book consists of five spooky short stories that take place in the woods. I’ve never read a graphic short story collection before, and I’m fairly new to sequential art books, but I thoroughly enjoyed this one. 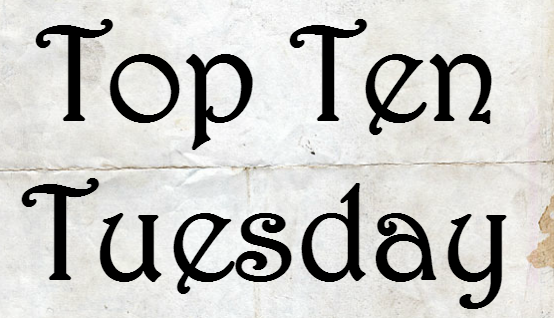 Top Ten Tuesday is a weekly meme hosted by The Broke and the Bookish. This week’s topic is top ten books on your fall TBR. A few weeks ago, I asked everyone on my blog and social media what I should read and review this fall. Here’s what you chose for me. To the children, the town was their whole world. To the adults, knowing better, Derry, Maine was just their hometown: familiar, well-ordered for the most part. A good place to live. It was the children who saw—and felt—what made Derry so horribly different. In the storm drains, in the sewers, IT lurked, taking on the shape of every nightmare, each one's deepest dread. Sometimes IT reached up, seizing, tearing, killing . 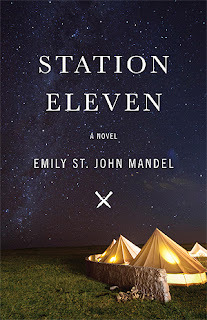 . .
Dorry Stevens, new to town, is unbearably lonely until she is befriended by Angela and her friends, members of a religious group called Fishers of Men. Dorry begins attending Fishers activities with them, and is baptized. She is expected to obey unquestioningly and to recruit. Dorry grows troubled as to whether the Fishers speak for God or themselves. When she eventually breaks with them, she is cut off cold, and fears that she will be damned. Through help, she begins to think for herself and tries to build new relationships with God and other people. Have you read any of these? What’s on your fall reading list? 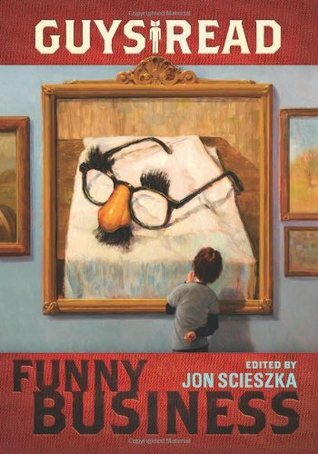 Funny Business is based around the theme of—what else?—humor, and if you’re familiar with Jon and Guys Read, you already know what you’re in store for: ten hilarious stories from some of the funniest writers around. 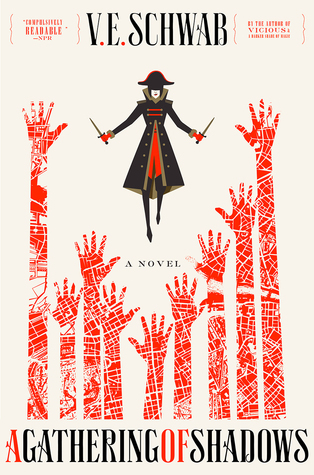 Before you’re through, you’ll meet a teenage mummy; a kid desperate to take a dip in the world’s largest pool of chocolate milk; a homicidal turkey; parents who hand over their son’s room to a biker; the only kid in his middle school who hasn’t turned into a vampire, wizard, or superhero; and more. 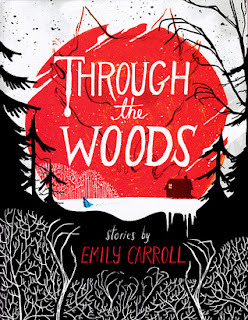 And the contributor list includes bestselling authors, award winners, and fresh new talent alike: Mac Barnett, Eoin Colfer, Christopher Paul Curtis, Kate DiCamillo (writing with Jon Scieszka), Paul Feig, Jack Gantos, Jeff Kinney, David Lubar, Adam Rex, and David Yoo. Review: When I was a kid, I was what everybody called a “reluctant reader.” Basically, if you put a book in my hands, I’d do everything in my childish power not to read it. 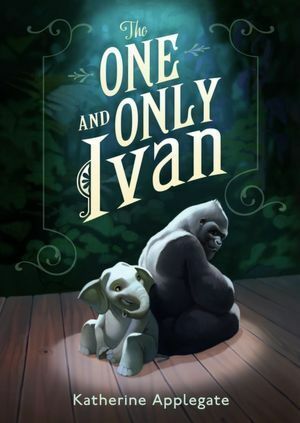 Jon Scieszka’s picture books are some of the first books I remember reading on my own and actually liking. His strange sense of humor worked on rebellious child-me. On Monday I reviewed I Am Nujood, Age 10 and Divorced by Nujood Ali & Delphine Minoui. On Wednesday I had some itty bitty movie reviews. On Thursday I did the nonfiction tag created by Wendy @ Falconer’s Library. On Saturday there was another book haul. On Monday I review Guys Read: Funny Business by Jon Scieszka. On Tuesday I show you which books you guys picked for me to read this fall. On Wednesday I review Through the Woods by Emily Carroll. On Thursday I tell you what I’ve been doing in September. 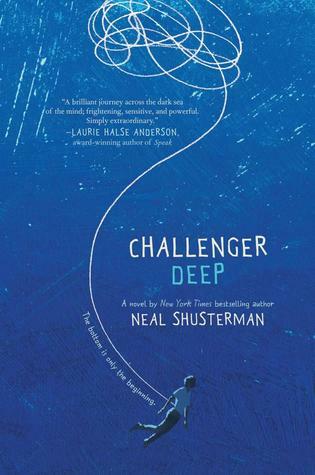 Last week, I finished Challenger Deep by Neal Shusterman. 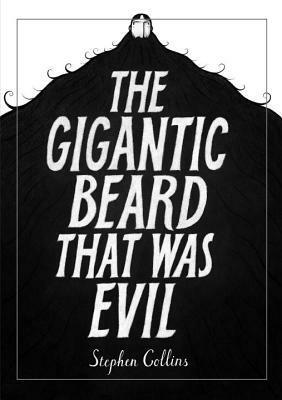 Then I read The One and Only Ivan by Katherine Applegate and The Gigantic Beard that was Evil by Stephen Collins. Right now, I’m reading The Exorcist by William Peter Blatty. 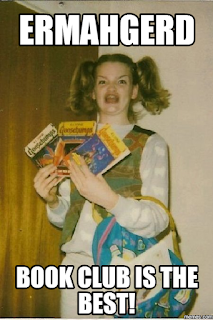 I’m caught up on book reviews. I’ve almost finished my final big assignment of graduate school. All the fall TV shows are starting. Hiking with my over-enthusiastic idiot dogs. This haul has a little bit of everything. 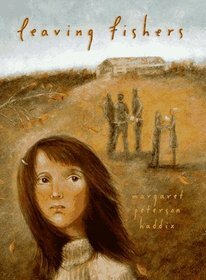 Poetry, kids’ books, graphic novels, modern classics, novels. I guess there’s a genre for everybody in this batch. 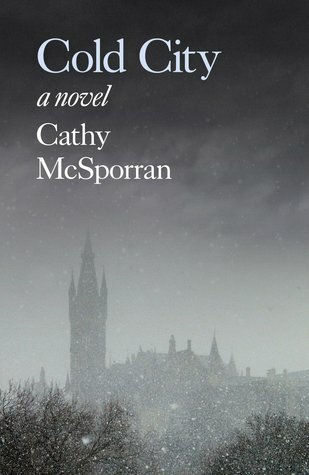 Two weeks after his death, Susan McPherson sees her father on the street in Glasgow. Not long after, she takes an overdose and is committed to a psychiatric institution. There, she is given a cocktail of drugs and soon finds herself moving between the reality of hospital and an alternate city, permanently covered in snow and ice. In her new world, her gay brother, Jamie, is now married to Claire. The country is dominated by militant pagan groups and Christian fundamentalism is on the rise, led by the charismatic preacher, McLean. Susan is befriended by Raj, a mysterious man who creates paintings of wolves and Norse legends. As Susan is drawn into the struggles and relationships of this new parallel world, her grip on the "first world" loosens further. Can she resolve the crises in the ice-bound city in order to return to reality? Growing up in the Deep South, Natasha Trethewey was never told that in her hometown of Gulfport, Mississippi, black soldiers had played a pivotal role in the Civil War. Off the coast, on Ship Island, stood a fort that had once been a Union prison housing Confederate captives. Protecting the fort was the second regiment of the Louisiana Native Guards—one of the Union's first official black units. 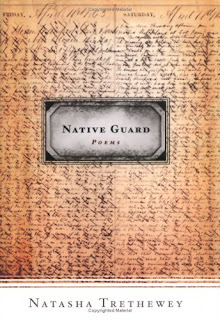 Trethewey's new book of poems pays homage to the soldiers who served and whose voices have echoed through her own life. 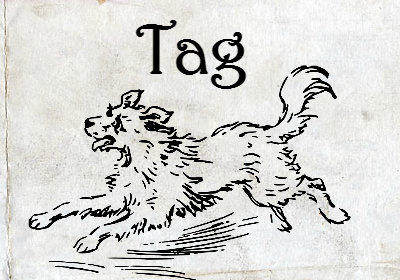 This tag was created by Wendy @ Falconer’s Library. I’m embarrassed to say that I don’t read much nonfiction (is it too early for 2017 reading resolutions? ), but I thought I’d give this tag a try. You guys are about to get a small glimpse at my bizarre interests. I’m terrible at math (maybe I should buy a math book), but I’d guess that 85% of the nonfiction on my shelves is about religious extremism, 10% is writing reference books, 4% somehow involves dogs, and 1% is other random stuff. Basically, I read a lot about cults, dogs, and grammar. 1. A book well outside your base of knowledge? I have 2 philosophy books on my shelf, but I’ve never been interested in philosophy. 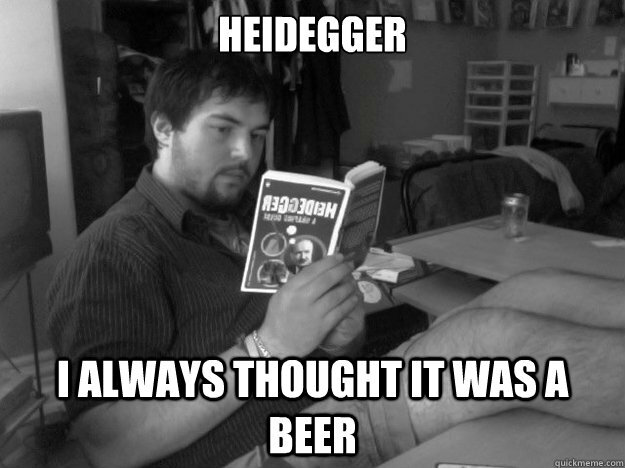 One is Being and Time by Martin Heidegger. 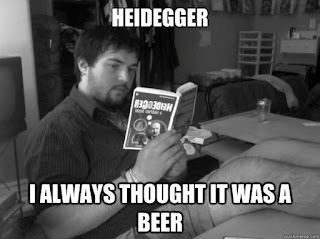 The other is The Portable Nietzsche. I read both of them and remember pretty much nothing about them. 2. 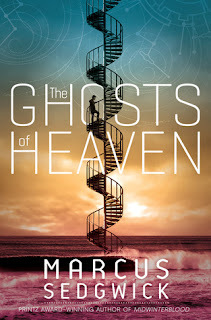 A book that you refer to often? I refer to my literature and editing books all the time. The ones that come off my shelf most often are The Chicago Manual of Style, The MLA Handbook for Writers of Research Papers, and A Handbook to Literature. Don’t those all sound amazing? 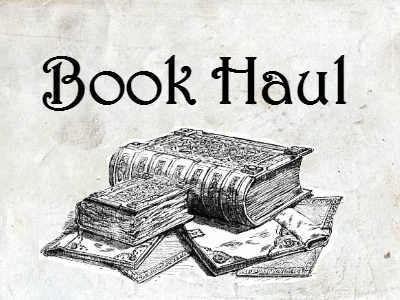 I’m sure you’re adding them to your TBR lists right now . . .
3. 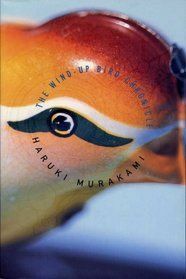 A book you were assigned to read and found fascinating? 4. 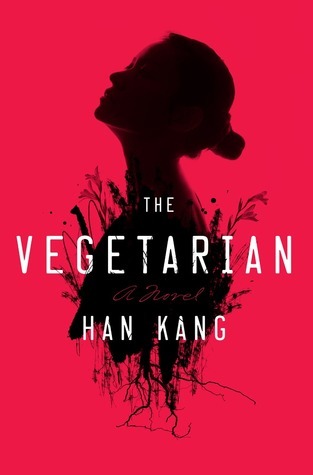 A book that would start a great book club discussion? 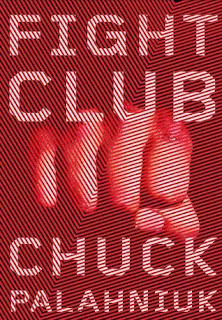 I haven’t been in a book club since I was 12, and our book discussions weren’t exactly deep. Maybe Under the Banner of Heaven by Jon Krakauer would make a good book club pick? 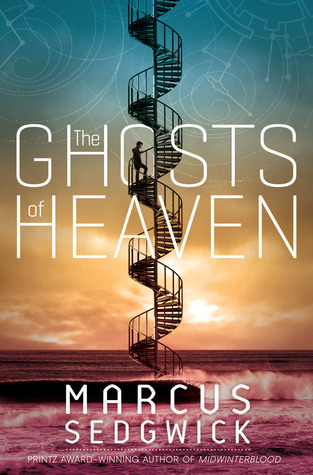 It’s about the history of the Mormon religion and modern-day Mormon Fundamentalism. Actually, that might not be a good book club pick. Is anyone interested in Mormons besides me? My book club might be a bit odd. 5. 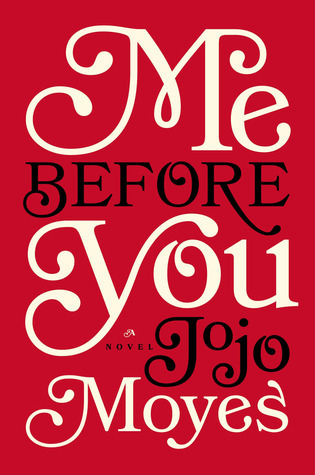 A book you could (or do) reread annually? 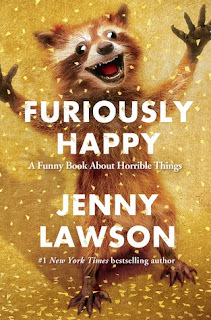 This might be cheating because I only read this book for the first time a few weeks ago, but I’m going to say Furiously Happy: A Funny Book about Horrible Things by Jenny Lawson. It’s hilarious and made me feel better about the horrible things in my life. Also, raccoons. 6. An essay or poetry collection? Turn Me Loose: The Unghosting of Medgar Evers by Frank X Walker is a book of poetry about the assassination of Medgar Evers. 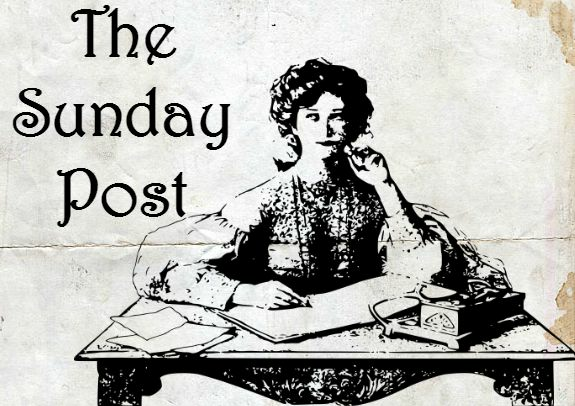 If you’re new to poetry, this is a great place to start. The poems are easy to understand and educational. 7. 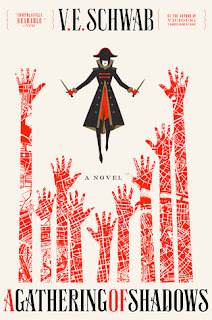 Graphic novel (or other unusual format)? I don’t read enough sequential art books, but one of my favorites is Blankets by Craig Thompson. It’s a graphic memoir about religion, abuse, and angsty teenage love. 8. 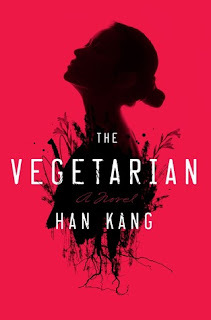 A book someone recommended to you? 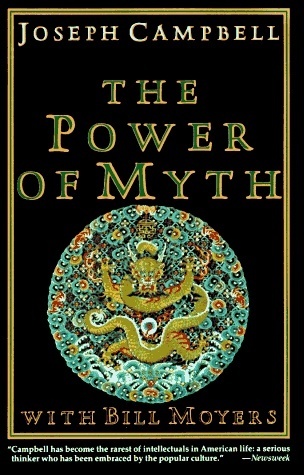 The Power of Myth by Joseph Campbell. 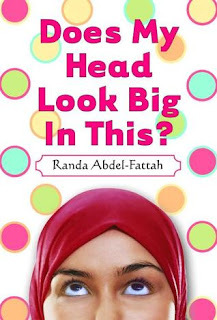 This book has been recommended to me by so many people. But, I haven’t read it. It’s been sitting on my TBR shelf for months. Supposedly, it’ll help deepen my understanding of literature. Unfortunately, reading YA books is much more appealing than deepening my understanding of anything. 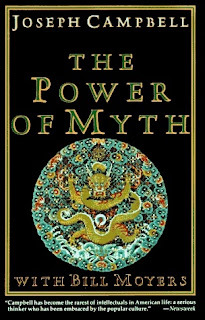 I swear I’ll read The Power of Myth someday. 9. 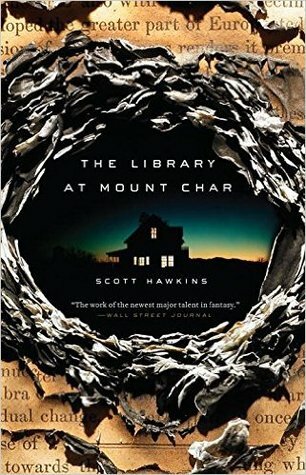 A book about books, writing, or writers? My favorite book about writing is Stephen King’s On Writing. 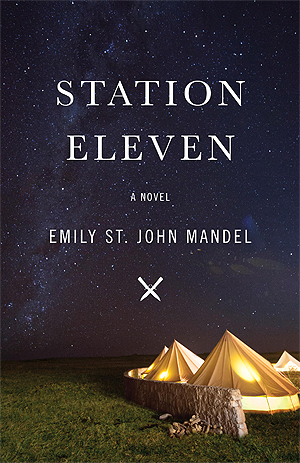 If you want to write anything, you need to read this first. It should be required reading for all wannabe writers. King teaches you the basics of writing in a way that doesn’t make you want to jump off the nearest skyscraper. I’ve read a lot of writing reference books, and almost all of them are so boring you’ll want to gouge out your eyes so you'll have an excuse to stop reading. 10. A book that made you laugh out loud or cry actual tears? Can I use Furiously Happy again? 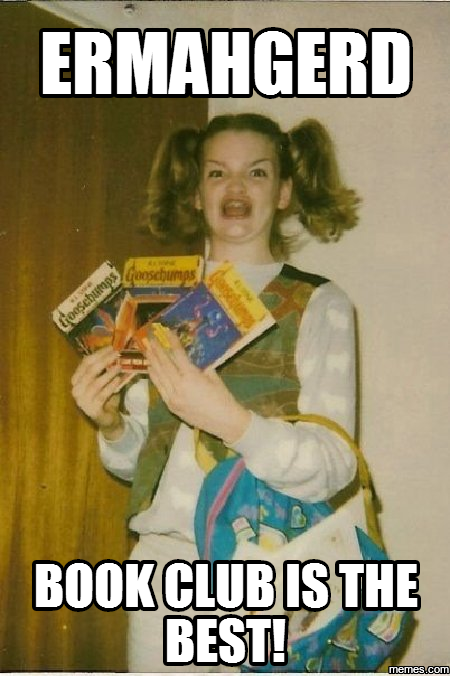 That book made me laugh out loud. 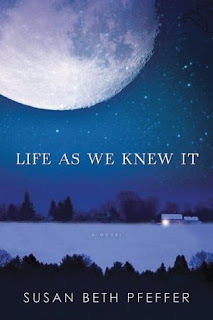 A book has never made me cry, but I got really sad while reading My Life in Orange by Tim Guest. The author grew up in various communes around the world. Reading about child neglect is like being kicked in the crotch and then set on fire. It’s not the most pleasant thing in the world.